Chapter 8 outlined 17 cases simulated using dSim. 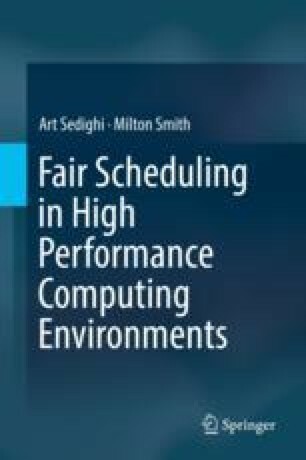 Both the traditional, fair-share scheduling algorithm and the Rawlsian Fair scheduling algorithm developed for our work were used in these simulations. Table 9.1 outlines the different classes of simulations and their purposes.